Sign up for our email list by Wednesday February 20 and we’ll send you two new songs in mp3 format from our upcoming album! The Fattenin’ Frogs generate a freight train of emotional excitement with Amanda White’s unchained soulful wail and Chris Holm’s lonesome howl over a landscape of scorching fingerstyle electric guitar, hard charging drums, wailing harmonica, and thumping bass. Never safe or stamped out, they are not afraid to cap off a hot night of rock & roll with a zippy little kazoo solo because above all, rock & roll is supposed to be fun! Playing a mix of original songs and classic songs from America’s past, they’ll make you feel like you know every song even when you hear them for the first time. In 2008, founding members Mark Larson and Chris Holm set out to dig deep into the American roots music that inspired their heroes. Within a year they had assembled a rock & roll band to put what they had learned to work. Six years and two albums later, though much of the cast has changed, Chris is still hard at it, and along with Amanda White, brings their brand of roots and blues inspired rock & roll to the masses. The band tours regularly throughout the Upper Midwest and has become staples of the music festival circuit including a 2015 Bayfront Blues Fest main stage performance and a performance at the 2014 Deep Blues Fest in Clarksdale, Mississippi. 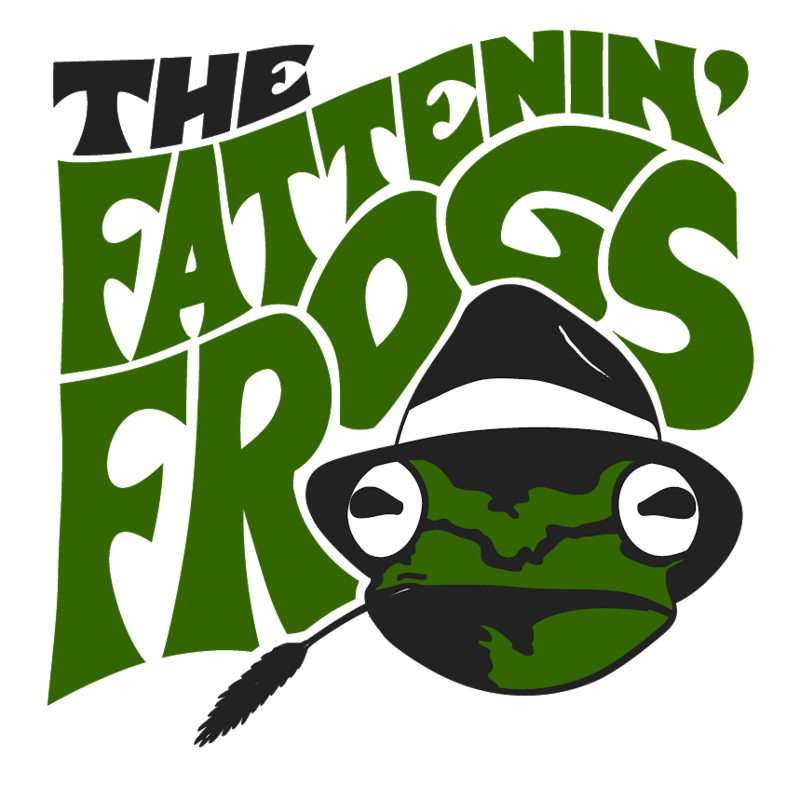 For their latest album release the band teamed up with engineer Zachary Hollander at Pearl Recording Studio in Minneapolis to produce their third full length album, Ribbit Rhythms. Their most personal record yet, the album successfully blends a carefree energy with down and dirty unapologetic blues and hearkens back to the glory days of rock & roll. Ribbit Rhythms was released on October 10, 2015. The Fattenin’ Frogs are: Elizabeth Duel (bass guitar), Garrett Kolb (drums), Chris Holm (vocals, guitar, harmonica), and Amanda White (vocals, kazoo).